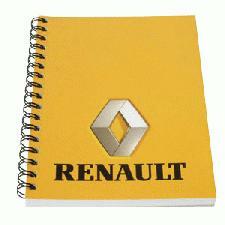 Advertise your companies details on our wirebound note-pads. Offering a high quality wirebound fitting, the wire bound pads are both robust and useful. Prices include one colour print, printed on one side. For more information on our Wirebound note-pads with logo. click here and fill in the contact form and we'll get straight back to you.